What if the previously unreleased cassette recording of Elvis rehearsing the day before his opening show at the Las Vegas Hilton on January 26, 1973 had been a rehearsal for an upcoming world tour instead? In an alternate universe, a review of the recently released From Hawaii To Las Vegas album from FTD would have sounded a bit different. To borrow a phrase from fellow blogger Troy Y: You've just crossed over into ... the edge of reality. Fortunately Elvis didn't return for another routine engagement in Las Vegas after his triumphal Aloha From Hawaii Via Satellite show. As you all know, he went on a highly successful world tour instead, starting in Europe. The recent From Hawaii To The Rest Of The World release from Follow That Dream Records provides an unique “fly-on-the-wall” experience of Elvis rehearsing for his opening show in London. Captured on a personal tape recorder, the sonic quality is below normal standards, but historical significance more than compensates for its audio limitations. The first two songs on the cassette recording are “Something” and “You Gave Me A Mountain,” both sounding very much like their counterparts from the satellite show. As Aloha From Hawaii served more or less as a blueprint for the song list included on the world tour, Elvis probably rehearsed “See See Rider” and “Burning Love” as well, before someone pressed the “record” button. The third song, “Steamroller Blues,” is the extended version we know so well from the first world tour. Elvis sings the “I'm a napalm bomb” verse two times, first time low and bluesy right after the guitar solo, the second time in the same exploding style as the last “I'm a steamroller baby” verse. No wonder this became a firm fan favorite during the tour. “My Way” is again very similar to the version from Hawaii, except for some clowning around with Charlie Hodge during the first verse. Then it's time for “Love Me” and “It's Over.” “Love me till it's over,” Elvis jokingly says before delivering a straight forward “Love Me” that ends with the orchestra playing a few bars of “The Star-Sprangled Banner,” evoking laughter from the band and musicians. “It's Over” is a nice version, every bit as beautiful as the one from the Aloha concert. “Blue Suede Shoes” is a one minute throw away version, involving some uninspired singing from Elvis part. Thankfully, it always sounded much more full of energy when performed during the shows abroad. A far better rehearsal is “I'm So Lonesome I Could Cry” featuring the additional verse heard on the world tour as well. One of the highlights on the CD. Listening to the rehearsal of “Welcome To My World” took me back to the time I saw Elvis perform in Paris for the first time (the soundboard from that concert was made available by FTD on the album Paris '77 a few years ago), the giant pictures of Graceland projected behind Elvis as he was singing the song. I remember it sent shivers up my spine. The ending of “I'll Remember You” causes the orchestra some problems. “I thought that was bad enough,” Elvis mutters after an abandoned attempt. After they finally get it right, Elvis launches himself into a driven and rockin' medley of “Long Tall Sally”/Whole Lotta Shakin' Goin' On.” Not only is this version one minute longer than the one from Hawaii, it's also much better, sounding very much like the one found on the Live On Stage In London album (although that one of course lasts for about five minutes). “An American Trilogy” always evoked great response, not only in the southern states, but also when performed all throughout Europe and then the rest of the world during 1973. Listening to the powerhouse version on From Hawaii To The Rest Of The World it's easy to understand why. Similarly, the rehearsal of “A Big Hunk O' Love” gives you an idea of why everyone stood up and clapped their hands when this rock 'n' roll oldie was belted out by Elvis in arenas all around the world. The catchy “I'm Leavin It Up To You” was always a highlight during the first world tour, but the rehearsal reveals that the song almost didn't make it to the set list. Lasting only for about 43 seconds, Elvis cuts it short with the words “That's all. Let's do 'Faded Love'.” Someone then asks him why he stopped, receiving the answer, “It was written with a pen. I couldn't read it.” Thankfully, someone must have produced typed written lyrics and convinced Elvis to rehears it again (after the cassette tape ended). Just like “I'm Leavin' It Up Top You,” “Faded Love” wasn't performed on the Aloha From Hawaii show. But luckily Elvis choose to retrieve this number from his 1971 Elvis Country album. It was then regularly performed during the following world tour, the rehearsal reminding me of the version recently released on the FTD treatment of Live In Australia. The rehearsal of “I Can't Stop Loving You” is a near copy of the version found on Aloha From Hawaii Via Satellite. Not bad, but far more interesting are the two versions of “Separate Ways,” one with just the band and the other with band and orchestra. Always an emotional moment when performed during the first world tour, one can hardly dare to think about what a loss it would have been if Elvis had chosen not to try the song in front of an audience. 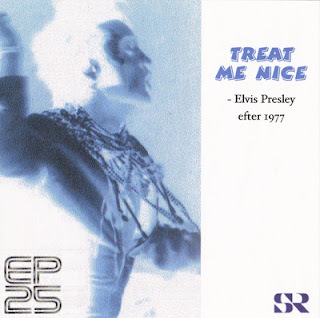 Just listen to the heartbroken version included on the Elvis Recorded Live On Stage In London album and you'll understand what I'm talking about. Another highlight during Elvis' first world tour was of course “Bridge Over Troubled Water,” and it's nice to listen to a rehearsal of it, even if the live versions available all sound much more exciting. “Let's do 'Can't Help Falling In Love' and we can call it off,” Elvis then tells the band before the From Hawaii To The Rest Of The World release ends with an (incomplete) version of the show closer we all know so well. To think that Elvis didn't change that one until 1977! To sum it up – From Hawaii To The Rest Of The World is an essential release. Granted, the sound quality leaves a lot to be desired, but as a historical document it's priceless. This is how Elvis worked with his repertoire up to the last moment before leaving for his opening show in London. Back in this universe, I'd like to recommend From Hawaii To Las Vegas as well. It's certainly not everyday a rehearsal turns up like this. But what a strange experience it must have been for Elvis to return to doing routine shows in Las Vegas after the Aloha From Hawaii success just a few weeks earlier. What if the satellite show had been followed by a world tour instead. One can only dream. This post is dedicated to Troy Y. who runs The Mystery Train Blog. For many years, the name Temple Riser was a bit of a mystery in the Elvis world. 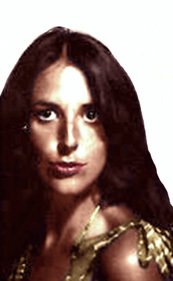 Not much was known about the dark-haired beauty with the deep, strong voice other than the fact that she had sung backup for Elvis at his early 70s Nashville sessions, and that she got to record a duet with Elvis live in the studio on ‘The First Time Ever I Saw Your Face’. Her whereabouts were unknown, and it seemed like she had simply vanished off this planet. Nobody seemed to know where she was located or whether she was still amongst us. Earlier this year, Elvis expert Arjan Deelen decided to try and locate her, and just a few weeks ago, his research paid off when he found her alive and well and even looking pretty much the way she did 40 years ago! Temple Riser, who is now 63, feels that she has been blessed in life, and cites working with Elvis and singing at President Nixon’s inauguration as her (singing) career highlights. About meeting Elvis for the first time, she says: “I was a little stuck up… I didn’t want to give him the impression that I was starstruck. But the moment he came into the studio, I was in awe… He had such a charisma about him, and he was so handsome. And he was very flirtatious!”, she says with a smile. When asked about her nicest memories of him, she answers: “There’s several… I remember that he invited me and Ginger & Mary (Holladay) to come to his hotel room in Nashville - and we did. He was just so nice to us. Very easy to talk to, very talkative. He grabbed his guitar and we sang Gospels together. He didn’t sing any of his hits, just Gospel music… he loved that”. About the duet, she says: “He asked me to do the duet with him. He was really having a good time while we recorded it. I just tried to do the best I could. You know, I used to be embarrassed about it. I didn’t think I sounded so good. These days with the internet it’s turning up everywhere, and people ask me about it. I’m proud of the fact that I got to sing with Elvis Presley. It doesn’t get any better than that!”. The really exciting news is that Temple Riser will be joining the ’Original Elvis Tribute’ show together with a.o. Mary and Ginger Holladay for a Euro tour in May 2013! “People have told me that the Elvis fans in Europe know about me, and I have always said: ‘You’ve got to be kidding!’. I’m really excited about coming to Europe for the very first time, and meeting the fans and performing for them. We may even do that duet, ‘The First Time Ever I Saw Your Face’. Hopefully, I will do a better job on it this time around!”, Temple laughingly says. “It’s a priviledge to be able to pay tribute to the greatest performer ever and I will do my best to make this tour memorable for the fans. See you all in May 2013!”. After reading the above e-mail I wanted to know more. So, after pressing the “reply” button, I wrote a couple of questions that Arjan Deelen was kind enough to answer right away. Elvis Today: How did you get the idea to search for Temple Riser? Arjan Deelen: The name Temple Riser has always fascinated me, combined with the few photos that we have of her. Plus, there was virtually no information available anywhere, and that’s where things usually get really interesting for me! Somehow searches like this become more interesting when you know that they are virtually impossible – for me at least! Temple is one of the few people who actually recorded a duet with Elvis live in the studio. For me, it was also the logical next step after finding Mary and Ginger Holladay (who will also be on the next tour). Elvis Today: How did you find her? Arjan Deelen: Through a contact – and more or less by coincidence, believe it or not. Elvis Today: What has she been doing all these years? Arjan Deelen: Temple raised a family and now has children and grandchildren. She left the music business in the early 70s. She has lived a quiet life, but has been very active in church. Her second husband died a few years ago, and I think my timing was right when I contacted her. She says that she wants to show her grandchildren that there is more to her than just being a grandma, and she is really looking forward to the tour. She says that this will mark her first trip outside the U.S.
Elvis Today: What do you think her contribution will mean to 'The Original Elvis Tribute' when it tours Europe next year? Arjan Deelen: Temple still has a very strong voice – and it’s well trained due to her singing in church. I think she is going to add a whole lot to the show. She has lots of nice stories to tell and I think the combination of her voice together with Mary and Ginger is going to sound tremendous. Just like they did together back in the early 70s. Temple says that she is really looking forward to being reunited with the Holladays. Like them, she is a vibrant and charming woman, and I think the audiences are going to enjoy her. It’s going to add a whole new energy to the show. Elvis Today: Finally, when will the show return to Europe and will you play Sweden again? Arjan Deelen: We will be touring in mid-May and yes, I definitely hope so! So do I, as the opening show in Vara without question was the best Elvis tribute show I've ever attended. And I'm sure Temple Riser will add icing to the cake when 'The Original Elvis Tribute' returns, just as Mary and Ginger Holladay did when then joined the tour last year.